Ready to break free from the norm? Then get ready because you're about to embark on a physical and mind blowing journey with Parkour. 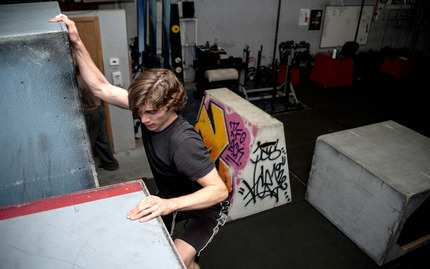 This introductory Parkour class will show you the ropes as well as what your body is truly capable of. For two hours, you have the opportunity to train in a facility under the careful instruction of an American Parkour certified trainer. Whether you're a novice or an expert, this class will give you the flexibility to work on the most basic or advanced movements of this intense sport. Come along and see what all the fun and excitement of parkour is about! There are no refunds; all sales are final. However, you may reschedule if notice is provided before your class.